How is all of this going to get in our bags? 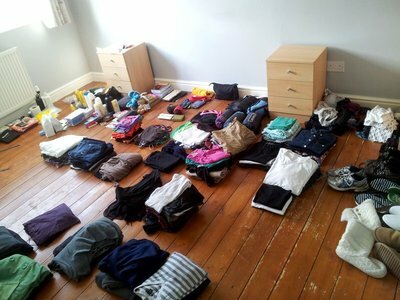 But now it's all in one room, it seems like a LOT, how is it possibly going to fit into two 75L bags? So after several hours and a few moments of panic that this is never going to work, we have finally managed to get everything in our bags, minus a few items. However there is now no space for anything else and I can't even close my bag. 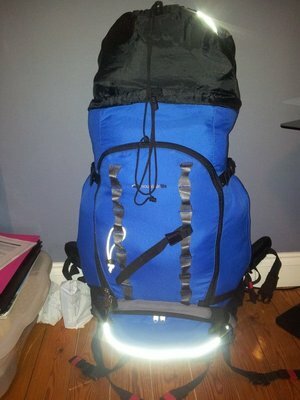 And to top it off it weighs 3 stone that's 19kg which I think is a little too heavy. So plan for the weekend, potentially with a hangover (after our leaving drinks) is to unpack, look at it all again, and re-pack!!! Fingers crossed we do a better job second time round!